How are our bodies shaped in our encounters with sports? In what ways are our relations to sport in schools and in the media enabling us to imagine ourselves as subjects? These are among the key concerns in this book-length study of sport, nations and the media. In the view of theorists such as Pierre Bourdieu what began as past-times for the common people has returned to us as mass mediated spectacles that render those who watch them passive. This volume provides ways to question whether we are reduced to dupes, or if we are seeing the emergence of new potentialities for how we think about ourselves in a new global order. 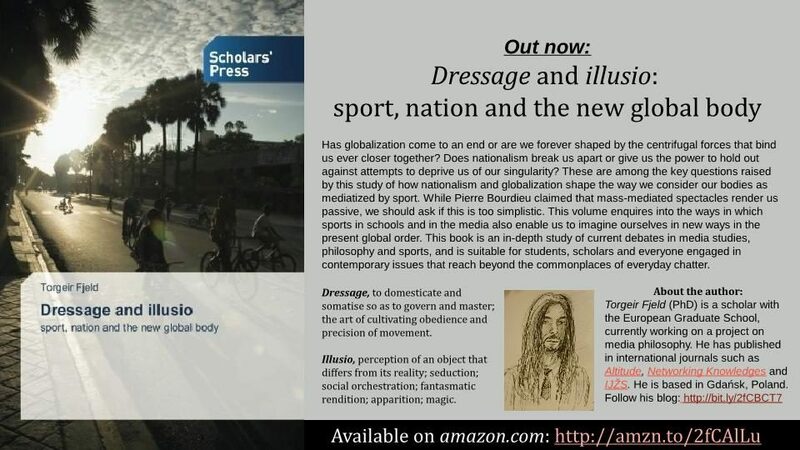 … enters directly into current philosophical and social scientific questions regarding sport – nation – body, and anchors the debate in strong, theoretical currents … rich in perspective and original analysis. Professor Sigmund Loland, Norwegian University College of Elite Sports.